2.Operation shows "-" when no signature is input in tonal model, the indicator of solmization and fine tuning will be turned on at the same time. 1.New super fast precise strobe mode with +/- 1 cent accuracy. 2.Chromatic which is suitable for wide range tuning. 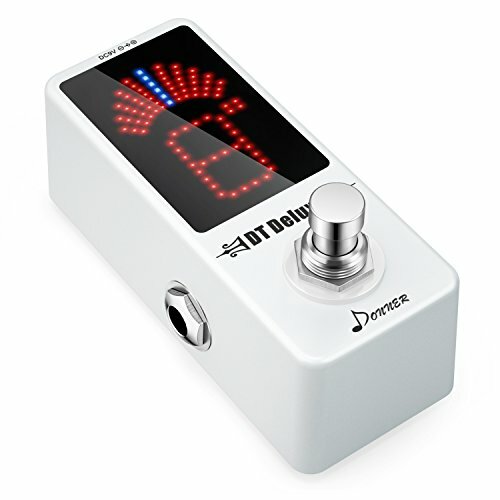 3.Deluxe LED display leads clear results of tuning. 4.True bypass, improved analog circuit, real signal, no loss of tune.